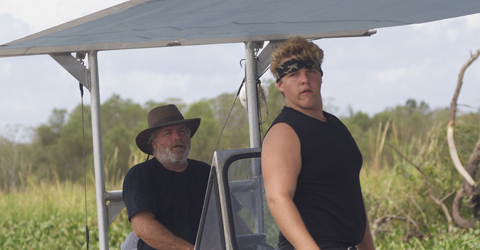 ZZ Loupe and Tom Candies are one of the new teams of alligator hunters to join the cast of Swamp People Season 4. (The other two new teams are T-Roy/Harlan and Jeromy/David.) Tom Candies is a bit of a mystery, so we will have to wait for the show to learn more about him. Zamariah “ZZ” Loupe, on the other hand, is no stranger either to the swamp or to reality television. 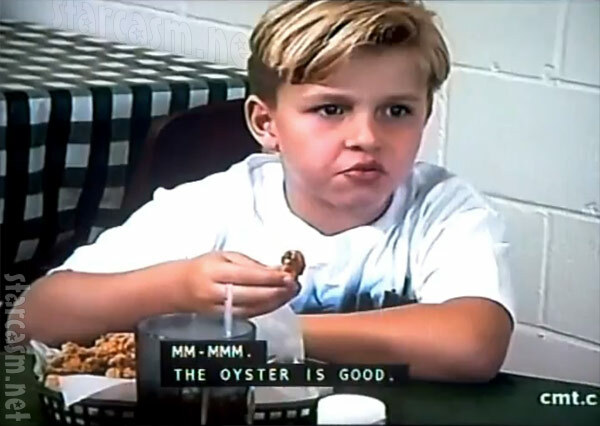 We have a lot of catching up to do with ZZ, though, because it has been nine years since he broke through to pop culture fame as the 7-year-old son of Diego Loupe and Diana Tregle, who were featured in back-to-back Season One episodes of Trading Spouses, which aired in November of 2004. (That’s lil ZZ in the photo above enjoying some oysters in front of his temporary new mom, vegan Barbara Gates.) ZZ is now 16, but there’s no mistaking that he was the little cajun that fired his substitute mom all those years ago. He might even be wearing the same bandana! Lots of folks who don’t remember much about Trading Spouses have clear memories of the Loupe/Gates episode and of ZZ in particular. The alligator hunting/wrangling/eating Loupe family was paired with the Vegan/Animal Rights activist Gates family. Culture clashes abounded and, as usual, the kids were caught in the middle. ZZ showed a lot of maturity in the episode, especially when he decided it was time to let Barbara Gates go from the job of playing his mother. Here’s a pretty rough, little video of that scene where ZZ cuts things off with Barbara Gates. And here’s another, longer clip of ZZ and his Dad, Diego, taking Barbara out for an authentic Cajun dinner only to learn that she’s a vegan. The quality isn’t great from the beginning, and it takes a real nose-dive at about the 3:50 mark, but there are still several great opportunities to see ZZ in action. You can tell that the whole Loupe family tried to show Barbara as much respect and hospitality as they could. Their kindness also comes through in the interviews that the family gave when the episode aired. CLICK HERE for one of those interviews from 2004. So, what has ZZ been up to since his 15 minutes of Trading Spouses fame in 2004? 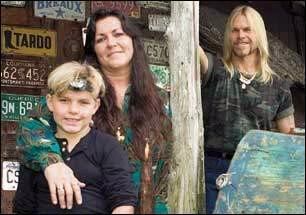 Before, during and after that moment, ZZ has helped his Mom and Dad run their businesses, which include swamp tours, showing off alligators, and running a restaurant and gift shop. Here’s a clip of Diego showing off one of the alligators in the pond in his back yard, but it could just as easily have been ZZ . What can we expect from ZZ this season? I’m guessing that ZZ at 16 is just as unselfconscious and genuine as he was in 2004, only now he’s got a big man’s strength and 8 more years of experience in the swamp. If the producers give him some decent screen time, we’re bound to see some great stuff from ZZ. I, for one, can’t wait!